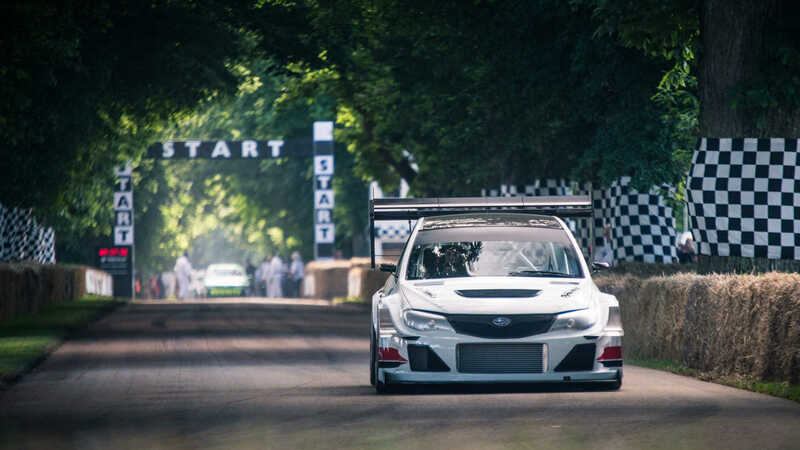 British driver Olly Clark finished up the 2016 Goodwood Festival of Speed, in England, last weekend, with a lightning-fast winning time of 46.29secs in his Subaru Impreza ‘Gobstopper II'. British driver Olly Clark finished up the 2016 Goodwood Festival of Speed, in England, last weekend, with a lightning-fast winning time of 46.29secs in his Subaru Impreza ‘Gobstopper II’. The pocket rocket Subaru scorched across the line at 225.6 kilometres per hour to claim victory in the Goodwood shootout event. It was the second consecutive year that Clark, who is the son of four-time British Rally champion Roger Clark, has won at Goodwood. Among those he beat home were a Porsche 911 race car, a Ferrari Spyder and the former Indy 500 winner Kenny Brack in the Lanzante McLaren P1 GTR. Brack recorded a 47.07sec run and an end speed of 217 kilometres per hour. Don’t expect to find this Subaru Impreza in any of Subaru of New Zealand’s Authorised Subaru Dealerships – it looks and performs far from standard. However, although Gobstopper II is still powered by a 2.0-litre turbocharged, four-cylinder engine, it has been augmented to produce 860bhp and is housed in a Subaru that was purpose-built to dominate time attack events, where drivers compete on circuits for the fastest lap time.